Curtin Springs has been home to the Severin family since 1956, when Peter Severin arrived with his young wife Dawn, their toddler son Ashley and 1,500 head of cattle. Curtin Springs stands as a testimony to the commitment of Peter and Ashley Severin to both the pastoral and tourism industries. We invite you to take a ‘peek behind the curtain’ to explore the wonders of our home. 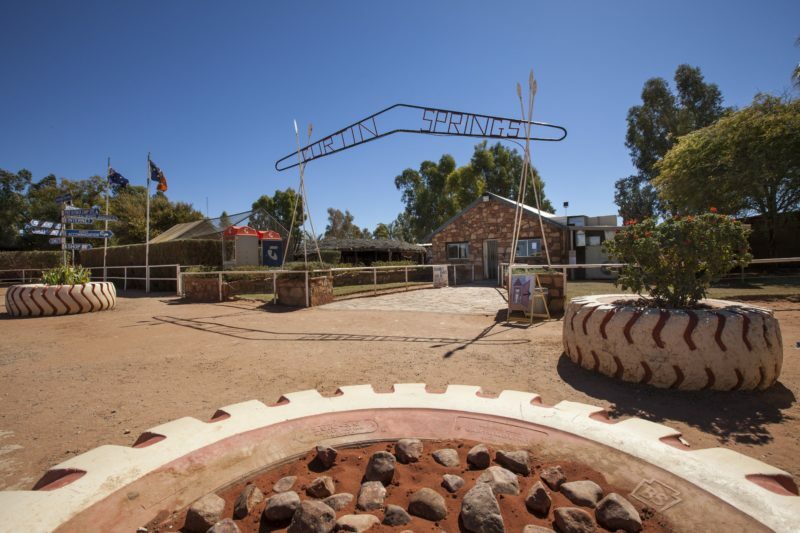 Located just 100km east of Ayers Rock, Curtin Springs (the first Wayside Inn in Central Australia) offers a perfect base from which to visit the Ayers Rock and Kings Canyon areas. Or stay a while longer and ‘peel back the layers’ by including our experiences, tours and hospitality in your travel plans. At Curtin Springs we balance beef production with being a million acre wildlife corridor, and offer many ways for visitors to connect with the spectacular landscape. 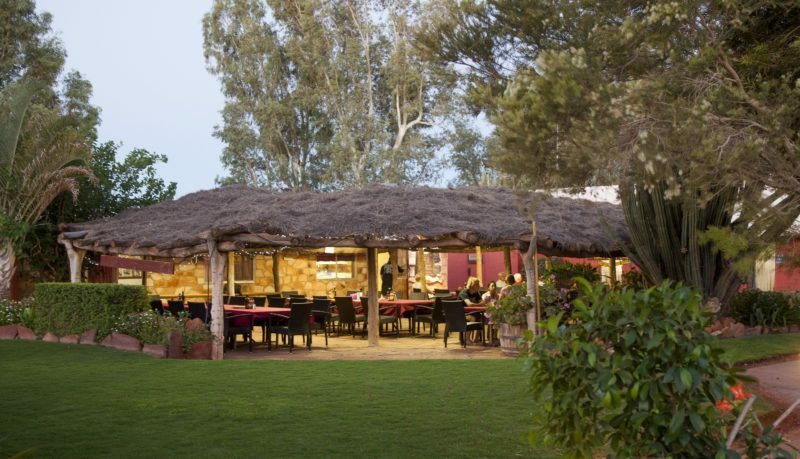 Curtin Springs Wayside Inn – Providing a Service for Travellers. Great Homestyle meals, comfortable accommodation. Stop and meet a local. Curtin Springs Paper – Handmade paper from our native grasses. 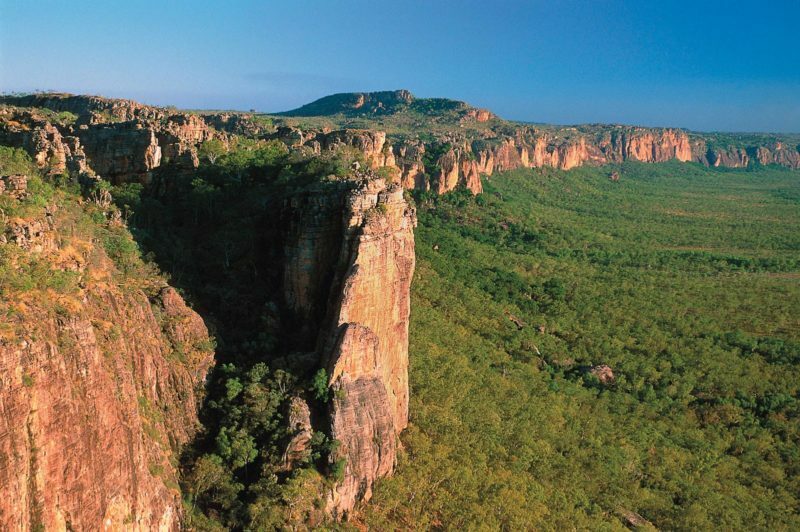 Curtin Springs Walks – Private guided walks. Our family rooms have a double bed, 3 single beds and two fold out lounges (single beds) if needed. These rooms have recently been refurbished and have full disabled bathrooms. These are our only accommodation rooms with their own small fridge. Photos we have taken ourselves are framed and on the walls for you to enjoy. Each room has a full compendium with the history of the station, our management practices and our family history. Visitors really enjoy being able to take a little peek behind the curtain of our lives. All of our accommodation buildings are transportable buildings which are meticulously maintained, with comprehensive cleaning schedules to present them in the best possible manner. They are all set in well maintained and presented gardens. Visitors often call it an ‘oasis’ in the desert. Curtin Springs Wayside Inn offers powered and unpowered sites. There is a charge for powered sites. There is no charge for unpowered sites. All visitors in the campground pay a per person per shower charge (in both powered and unpowered sites). 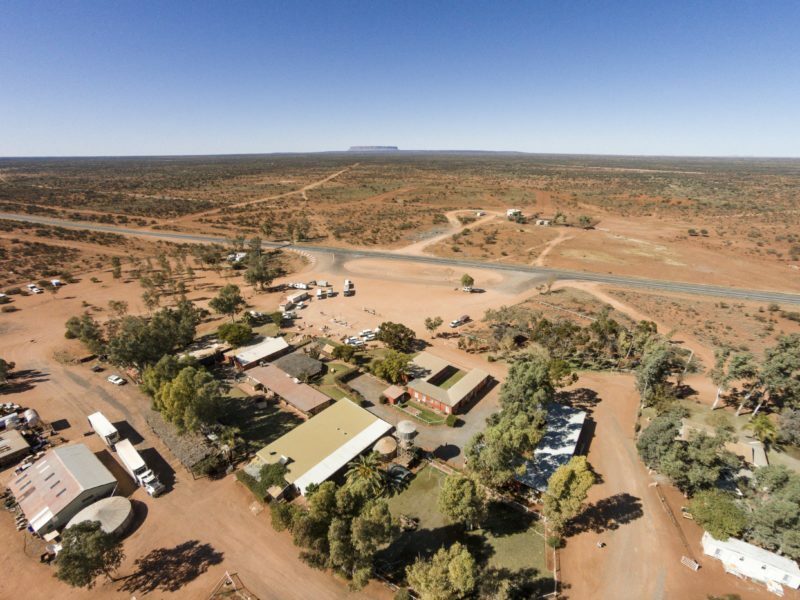 Curtin Springs offers clean, comfortable and affordable accommodation options for your visit to see Ayers Rock and Kings Canyon. Ensuite rooms (double or twin) have private bathroom facilities, tea/coffee making facilities and either one double bed or two single beds. These rooms provide a cheaper alternative for travellers. They are very simple rooms, double or twin rooms only, with shared bathrooms. The rooms have no additional facilities. No charge for unpowered sites. Ensuite rooms: from $170 to $270 per night. Budget rooms: $85 for one person or $120 for two people/room.